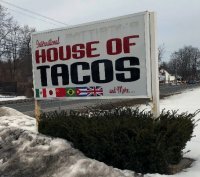 When in Bennington, Vermont we have a new go to place for cheap eats. 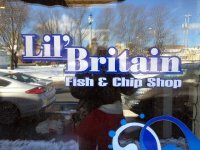 While simple and unpretentious Lil's Britain serves authentic fish and chips, bangers and mashed, and standard pub food. A visit to Cape Ann presents a number of fabulous dining options. It's best to stick with seafood which comes fresh from the docks. The only problem is being confined to three meals each for an all too short seven days. Word or mouth and rave on line reviews led us to Jensen's Restaurant on Vermont. We were famished road warriors on the road cruising for diners, drive-ins and dives. This vintage chicken shack was all of the above. It was a relatively short walk from our hotel in San Freancisco to the entrance of its vast Chinatown. We explored and returned several times for fabuous meals. Blantyre in our backyard, is only minutes from Tanglewood and the arts of the Berkshires. Rooms are beautiful and wine and gourmet food is affordable. 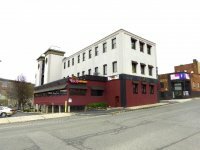 There have been several incarnations of restaurants at 26 Marshall Street opposite the North Adams campus of MASS MoCA. On a Saturday night four foodies visited the recently launched Grazie Italian Ristorante. 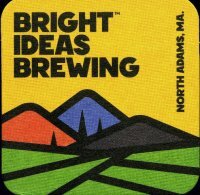 There were mistakes but overall we plan to return to an affordable Northern Berkshire dining option. 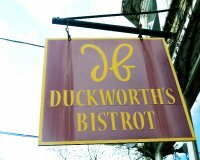 During high season it's challenging to get a reservation at the renowned Duckworth's Bistrot the most widely touted destination for fine dining in Gloucester. Due to lapses of attention it proved to be a disappointing experience. There is no excuse for soup served at near to room temperature and incinerated meat. You expect more from a top chef. Just a hop skip and jump off 495 in Wrentham is Luciano's one of the great Italian restaurants in he Northeast. Founded in 1991 the food and ambiance is on a par with the best of Vegas or New York's Little Italy. The decor is over the top to complement impeccable service and divine cuisine. Be sure to ask for a table with your back to the wall. 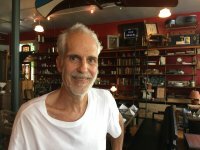 Montano's is a family style Italian restuaranrt on Route 6 in North Truro not far from Provincetown. We arrived late for the early bird specials which end at 6 PM. But wednesday was pasta night with all of their offering at just $13. For another $5 we added the house salad. My sauce featured boar's meat and her pasta was created with duck ragu. Early in Spring, while the town with narrow streets still sleeps, we found that Fanizzi’s by the Sea 539 Commercial St, Provincetown is open year round. On a Sunday night we popped in for the early bird specials. A window table with its harbor view was delightful. The name Karoo derives from a semiarid region of South Africa. In local dialect the term translates as “land of thirst.” But you will find the cuisine of Chef Sanette Groenwald, of Afrikaner Dutch heritage, to be no mirage. 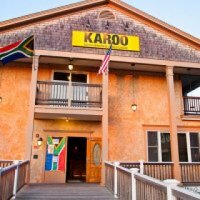 This a great place for exotic cuisine on Lower Cape Cod. During visits to Gloucster dining at Lobsta Land has always been an inviting option. Not this time however. 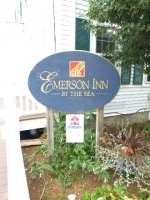 At Emerson Inn, Rockport, Mass. With a magnificent ocean view from the terrace Pigeon Cove Tavern at the Emerson Inn in Rockport coudn't have been better. There was a perfect mix of fine dining, ambiance and impreccabler service. Located in the hamlet of Housatonic, is Pleasant & Main, a restaurant with charm, character and wonderful food at reasonable prices. The artist's colony of Gloucester's Rock Neck, with views of the inner harbor, is a popular destination. 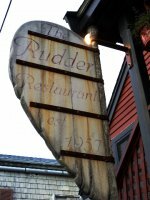 There are two dining options The Rudder and The Studio both under the same management. Arriving early preseason we were offered a half price menu and seating on the porch.